Your destination for total performance: CATZ Physical Therapy, Circuit Training, LEVEL UP Sports Performance, and sports team training. Every physical therapist in the US should be acutely aware of the need for balance and strength training in the “baby boomer” population. There are enough statistics to fill this entire page on falls, injuries due to falls, medical costs associated with falls and deaths caused by falls, etc. I don’t need to bore anybody with the details, if you’re a PT in an out patient clinic you see it every day. Whether that Medicare patient is being treated for a knee/hip replacement, back pain, rotator cuff repair or almost any orthopedic condition, we see the need for balance and fall prevention in almost every one of them as they move about our facilities. So why not screen all of these patients and assess their risk of falling? There are now a number of valid assessment tools that are simple to use and take minimal time to implement to give you an accurate picture of the patient’s risk of falling. Evidence supports the idea that falls can be prevented through screening for risk factors and by tailored intervention. 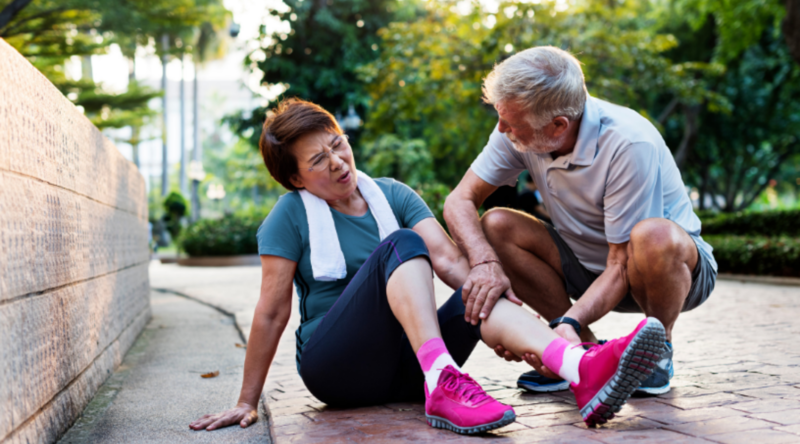 At CATZ Physical Therapy Inst., we see patients across the age spectrum and are more known for being a “sports medicine” facility, however, we still see a large number of Medicare-aged patients. Human function is a combination of mobility, strength, balance/proprioception and reactive ability throughout the entire body. When babies are first learning to walk they depend on basic reflexes built into the nervous system called “righting reactions”, these automatic corrections are honed through thousands of repetitions. Standing, falling, getting back up until that little, immature nervous system is finely tuned and ready to literally take the next step. Fast forward to the elderly, the reflexes have diminished, the balance/proprioceptive/vestibular systems are rusty from lack of use and most have strength deficits throughout their bodies from atrophy, injury, arthritis, etc. They need to “refresh” their inherent abilities and strengthen movements to improve function, but the trial and error methods used by babies (standing/falling/getting back up), is not a good option for this population. They need an environment that safely challenges center of gravity (COG) control, elicits righting reflexes and strengthens the muscles involved in basic human function. Providing Rehabilitation, Injury Prevention and Sports Performance since 1995. WE ARE CATZ. JOIN THE PRIDE! STAND STRONG AND FIND BALANCE!